Trawl the sea to discover what secrets are hidden in its depths and record your findings on your typewriter. The sea has many stories to tell, and will reward multiple voyages. "Trawl is a return to an antiquated world where nothing can distract you from diving into your own thoughts and inspirations"
"It is not an experience I will forget and it is one I will definitely recommend. A game with wonderful atmosphere and a very interesting concept." "Like Prowl before it, Trawl is wonderfully atmospheric, and I'm looking forward to returning to see what other treasures I can dredge up." 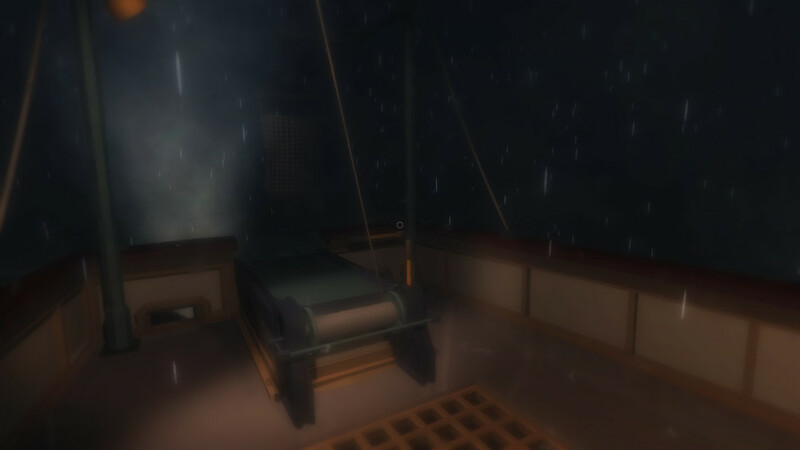 Trawl is a first person experiential game of discovery and creativity. First you must figure out how to operate the various parts of the boat, manipulating the wheel, throttle and the net. Then, trawl the sea to recover discover what secrets are hidden in its depths and record your findings on your typewriter. The sea has many stories to tell, and will reward multiple voyages. Trawl is not a 'gameplay' heavy game in the traditional sense. Trawl takes places entirely on a small trawling vessel, and you are encouraged to engage with the low-key, though detailed ritual of operating the mechanics of the ship, while soaking in the atmosphere. If you so choose, Trawl can be seen as a sort of writing prompt, with you playing the role of sea-bound detective. How you choose to interpret and record the results are up to you. It is difficult to say definitively how long each playthrough is, as this depends entirely on how much you engage with the game and decide to write in your in-game journal. If you speed-run the game it could be over in less than 10 minutes, though if that is how you intend to play then this game may not be your cup of tea. Most of our players enjoy returning to sea again and again to see what new secrets they'll uncover and then writing journal entries to share with their friends. If you choose to record your findings on the typewriter, Trawl will save a text file in your Documents/Trawl/ folder.